WTF Are You Reading? 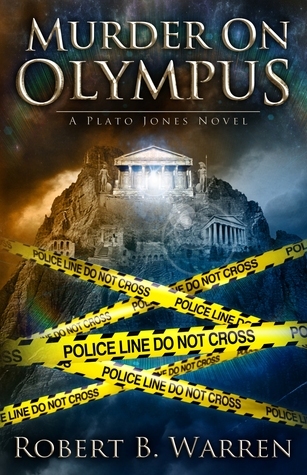 : Adult Mystery Review: Will You Be the First to Solve the "Murder on Olympus"? Adult Mystery Review: Will You Be the First to Solve the "Murder on Olympus"? This book is a perfect balance of humor, myth, and mystery. All Plato Jones wants to do is catch a few cheating spouses, find a few wayward mythical beasts, and keep his conversations with his nosy ex-wife short and sweet. It seems however, that the Gods of Olympus, Zeus, in particular...have other ideas. Robert B. Warren takes the mystery genre in new directions. Readers will love the gruff but loveable character of Plato Jones. He is the epitome of the "common man" who finds himself in the unenviable position of being sought after by Zeus to track down a "killer of the gods." If the someone that he is after has what it takes to kill the immortal, what are his chances of even surviving this assignment? This is a fun modernization of mythic heroes, with cameos featuring such notables as: Aries, Hercules, and Aphrodite. Readers will love the twists and turns that Plato experiences as he makes his way through a veritable labyrinth of lies, deceptions, and MURDER. I haven't heard of this one but I'm glad I saw this post because it's now on my TBR list. I love myths, humor and mystery...so if this book combines all three it's perfect. Great review, Thanks for sharing this one! New one for me too, but sounds like a fun read. Definitely going to check it out further. After reading this review I really want to read this book. It sounds like such a great read and a must read. Thanks for introducing me to this book.